Konrad Adenauer, first Chancellor of the Federal Republic of Germany. Born January 5th, 1876, expelled by the Nazis and later on he was sentenced to death. Then, in 1949 he became the first Chancellor of the young Federal Republic and led Germany to democracy. Together with de Gaulle, he managed the reconciliation between France and Germany. But the question remains: Statesman or Cold Warrior? Even today in the reunified Germany the opinions differ. This docudrama tells the story of not only Adenauer as Mayor of Cologne and first Chancellor of the Federal Republic of Germany, but also reveals who the private man Adenauer was: From his love for Gussi, his second wife, to his children; the fear for them, during the period of Nazi dictatorship and the bitter death of his beloved wife. The scenes were elaborately staged with great attention to detail at these locations: the Palais Schaumburg, the former Bonn Chancellery, and Adenauer’s private home in Rhöndorf, which the Foundation “Chancellor Konrad Adenauer House” made available as film set for the very first time. 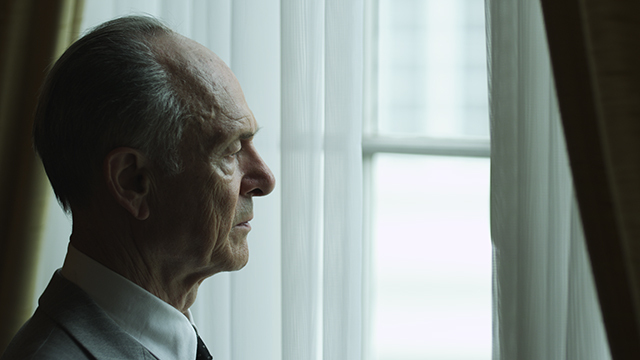 Joachim Bißmeier plays Konrad Adenauer, a man who is still perceived as one of the greatest Germans. A role which the native of the Rhineland approached “with great respect.” Carolina Vera as Gussi Adenauer, John Zirner as Rudolf Augstein and Bernhard Ulrich as Franz-Josef Strauß complete the prominent cast, directed by Stefan Schneider. The family of Konrad Adenauer supported the project. Adenauer’s daughter Libet Werhahn-Adenauer and her brother Georg Adenauer help tell the story as does Hannelore Siegel, the former secretary of Adenauer. Selected rare archive material that has for the most part not been seen in years on TV completes this docudrama.